A Best Friend Deserves the Best Possible Care. 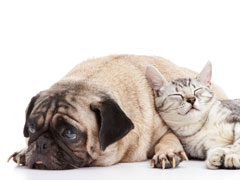 We are dedicated to improving the condition of pets through preventative care. We seek to promote the well being of pets and the importance of a healthy human-animal bond. We strive as a practice each and every day to remain committed to these goals and do our very best for both client and their beloved pets.